IMG_7576, originally uploaded by Mic2006. The cave that we already knew of – lets call it “Spanky’s Paradise” as a working name (subject to change, but convenient for discussion), was new to Jeff and so we wandered around a bit, photographed and generally absorbed the bone numbing cold from the rock. At a certain point the tunnel jogs sharply to the right and there are rimstone dams all round. The tunnel forks shortly after this and to the right there is a narrow cleft that makes for treacherous crawling. To the left there is a trough, swept free of formations, likely a conduit for water at some time of the year. We resolved to continue on for some distance at a later date – possibly along the cleft as it seems to open out a bit further on and if we can hit a tunnel running perpindicular we are on a one way trip to wonderland. Flittering images in a crystal ball. gemboree1 037, originally uploaded by Mic2006. From the time of the Indian Raj’s, the Egyptian Queens or the Siamese Princes there had always been an irresistable draw to gem stones. What is it about these rarities that we so value? In my opinion, it is the beauty that is the attraction. It is the natural qualities of pure colour, fire, and brilliance that appeal to the “magpie” in humanity. 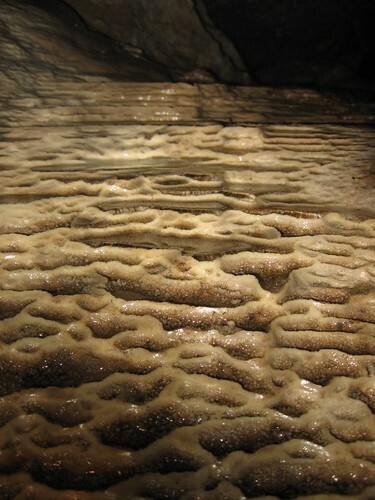 In years past most of the rock enthusiasts at the show came in the guise of amateur geologists and crystollographers. Today the interest is strong but it is a whole culture of new age enthusiasts that come to worship the stone’s spiritual qualities. The many wayward directions from which a rockhound approaches their interest seems almost irrelevant to the core of the matter. It is the beauty of the stone around which everything revolves. 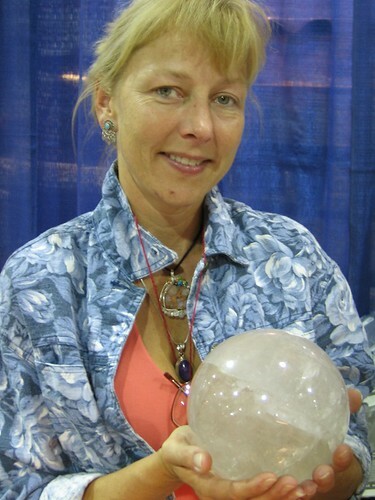 There is a lady tending a booth of crystal balls and spikes of quartz crystals. A dealer tells me she is very knowledgeable but is officially here just purchasing materials for a class that she is teaching. I ask her how the amethyst balls differ from the rock crystal balls. “The amethyst is more intuitive” she explains. “It deals with feelings and perception, the rock crystal is clarity and intellect. Its vision extends upward in a cone above your head.” Her eyes glitter as she looks into the ball. Flipping her sandy-blond ponytail she gazes at the ethereal images that flitter across the light-flecked innards of the sphere. Apache medicine men were said to use crystals to help in the location of wayward ponies, and as Fredrick Kunz relates, the gift of a far superior crystal to one such diviner made the giver, Captain John G. Burk, a close friend and ally of the medicine man. He said that with his new crystal, he could now see everything he wanted to see. Kunz talks of the polished crystal in “The Curious Lore of Precious Stones” saying that any polished surface might act as a scryer, but suggests that a ball shape might multiply the reflections of light. The images seen by a viewer in one position will likely be invisible to a viewer in another position. He does, however, say that the value of brain pictures cast upon the ball will only have as much weight as the importance that we place upon the process of subconscious intelligence. On the table there are many phantom quartz spikes. This peculiar type of crystal has the property of appearing to possess a second smaller crystal within the confines of the larger crystal. 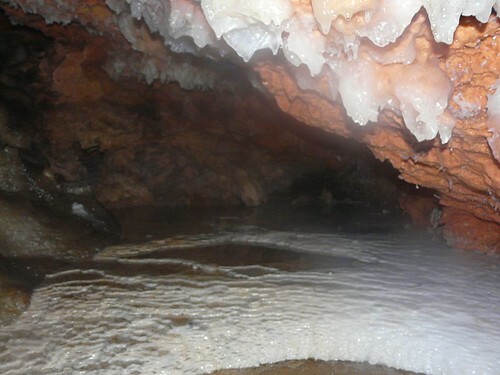 Dust or debris had at some time marred the surface of the inner crystal. Some stopped growing there but others continued and trapped the dusted image forever in the appearance of this phantom crystal. Sometimes the phantom appears as a faint shadow. At other times it is as obvious a plane as the smooth surface of a bedroom sheet.